Just thought that I'd mention that the latest issue of The Ride Journal is out now, featuring contributions from Bradley Wiggins, Dan Craven, Jens Voight, Formula 1's Mark Webber and me. Yes, I occasionally put my thoughts on paper rather than on a blog. And because print is sacred (not too mention immutable once it's off the press), I actually take the time to spell and punctuate properly when I write for print. Check it out for that novelty alone, I say. 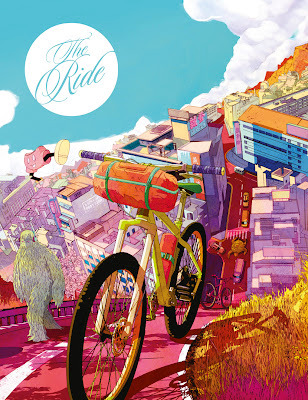 Actually, far beyond that novelty, you should check out The Ride because it's a beautiful collaboration between writers, illustrators and designers that produces a work of art every few months while handing any profits over to charity. If you visit The Ride's website you'll find a list of stockists as well as the option of buying a copy online as well.